In the midst of an impressive NHL season, one that has him leading his team in goals (15) and points (33), Evander Kane found the time to make a positive impact off the ice, too. At the end of the night, they were surprised with special gifts. It wasn’t the first time Kane has reached out the less fortunate. Two years ago, in his first season with the Sabres, he treated 50 kids to dinner and then took them on a shopping spree. In the summer, the Vancouver-born Kane delivered pizza to people in need in his hometown. While it’s no doubt a big deal to those on the receiving end of the kind deeds, it’s Kane who considers himself the lucky one. "Your biggest table, please." 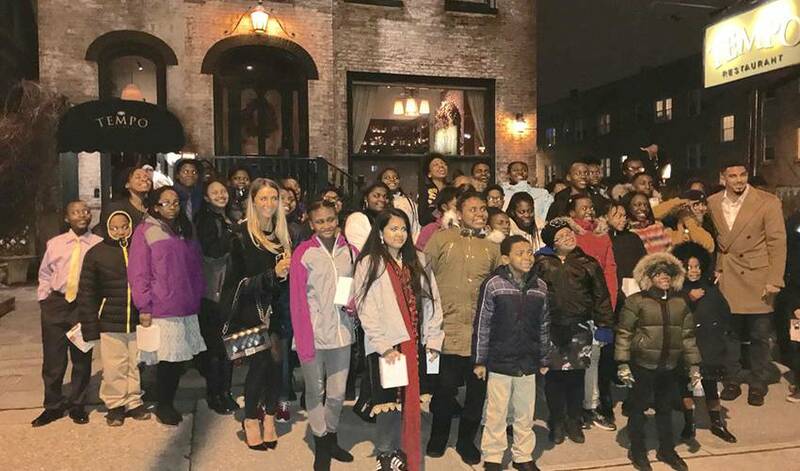 @evanderkane_9 with an amazing holiday gesture treated 50 children from King Center Charter school to dinner and some sweet new headphones Wednesday!